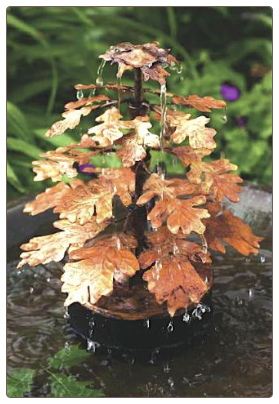 Add Moving Water to Your Birdbath and Watch the Show! 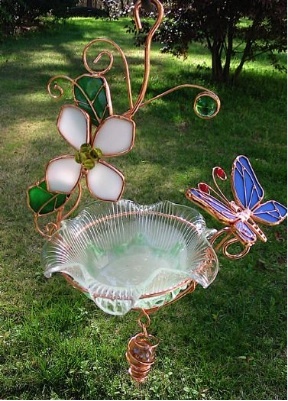 Fresh water in a birdbath is by far one of the best ways to entice song birds to your yard. 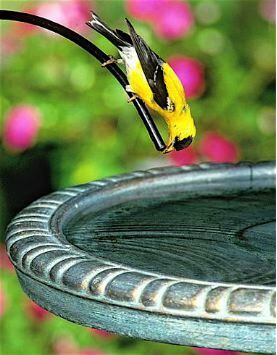 Even those who may not use birdhouses or feeders will usually stop by for a sip or dip! 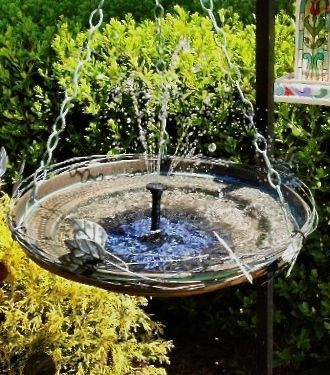 You can count on this, be it extreme summer heat…or frigid winter months, a birdbath is a necessity if you’re trying to attract wild birds to your yard. 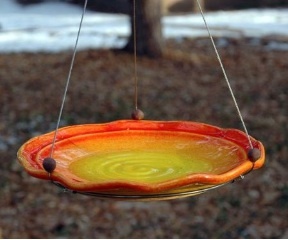 Adding accessories like birdbath drippers, water wigglers or misters works like a visual magnet to birds, the difference is amazing. Moving water attracts birds like you wouldn’t believe! The added benefits are no stagnant water and the water stays cleaner longer. Also, nasty mosquitoes can not lay eggs in moving water. 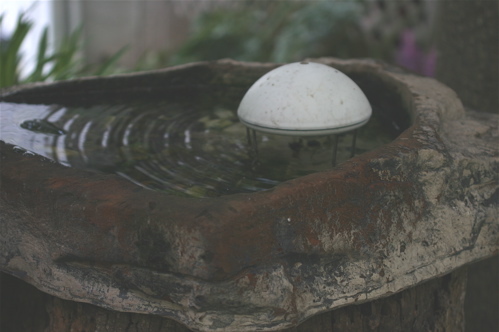 In our birdbaths at home, you’ll find two water wigglers and two drippers…our birds love them and we’d never go back to standing water. 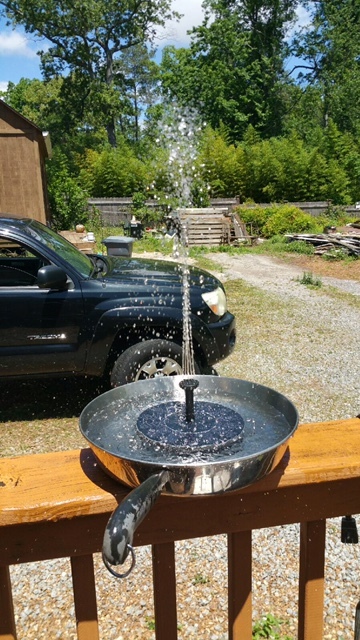 Moving water in a bird bath is where it’s at! 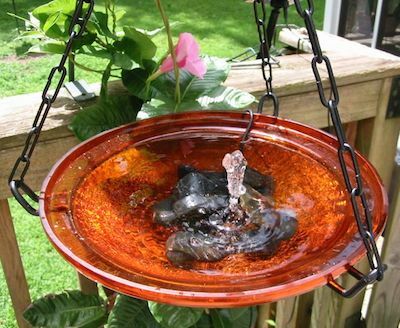 Bird baths really are the best way to attract more birds. If you’re fairly new to the wonderful hobby of backyard birding, maybe a feeder or two graces your yard now. You know it’s great when a new bird visits, and the simple fun of watching their behavior. 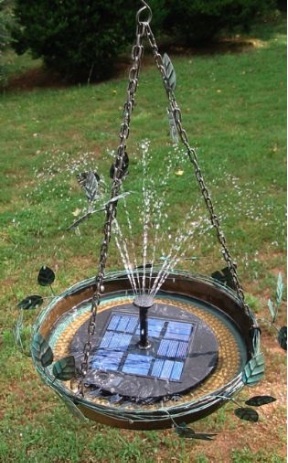 By adding a bird bath, a great oasis has begun for your fathered friends. 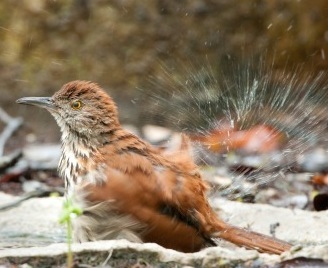 A fresh water source is a must for all bird species. 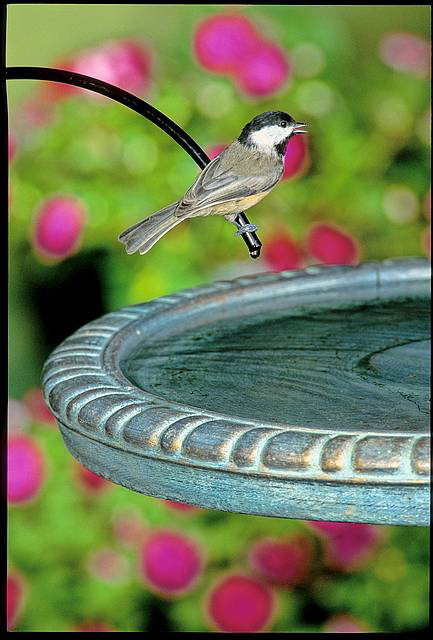 Birds who may never stop at a feeder, or use a birdhouse will visit a bird bath. In order for birds to bathe and wade comfortably, the optimal depth is about two inches. 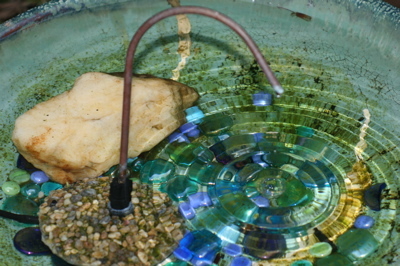 If the bath is deeper, try placing a large rock in the center for birds to perch. 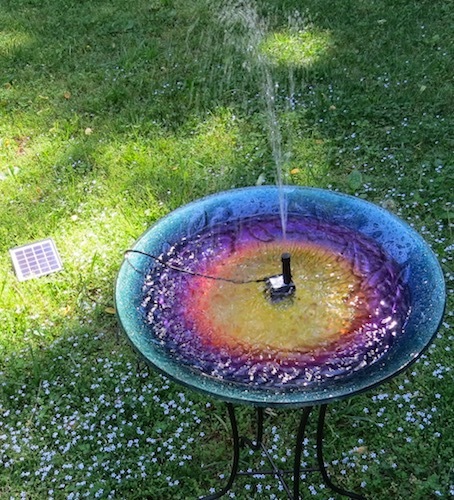 Accessories like solar bath fountains, drippers, and water wigglers are a super way to liven up existing baths too. The sight and sound of moving water is a magnet for birds, they’ll flock to the bath! Moving water tends to stay cleaner for longer periods too. The other excellent advantage of moving water is that it thwarts mosquito population. Huh? It’s a known fact that mosquitoes can not lay eggs in moving water, so there’s no worries of standing water to act as breeding ground for the tiny pests. 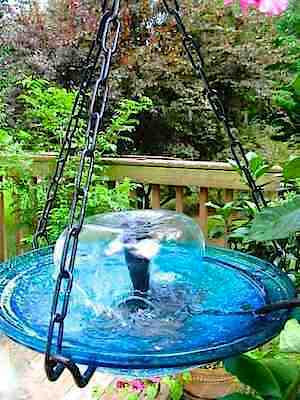 Attract more hummingbirds to your yard with moving water!